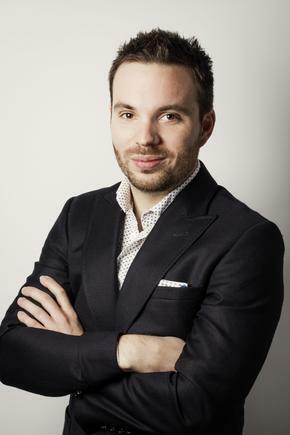 Tabcorp head of brand for lotteries, Ben Johnson, told CMO the decision to take a fresh approach to how Powerball was positioned in market was born out of the need to revitalise the brand to attract younger audiences. With social sentiment changing, it was also time to find a more relevant brand story to tell, Johnson said. He noted research agency, Colmar Brunton’s Millennium Monitor, for example, showed consumers moving towards an era of rebellion as trust in corporations and government plummets. Working in partnership with Colmar Brunton, its media agency, Carat, and taking into account internal data sets on existing customers, the team devised three audiences: Retained, which consists of consumers 49 years old and above; growth, or those aged 25-49 years old; and churn, which included those who have played in the past but aren’t regular purchasers. “We knew churn was a long-term game, so we parked that initially. It was also important with our retained audience to keep them in love with the brand. But the growth audience is the big opportunity for us – we want to make them fall in love with brand lotteries, and particularly Powerball,” Johnson said. A key insight the Lotteries team discovered via research was that people perceived Powerball as a big, prestigious brand. Yet its advertising was not reflecting that. It’s this that led to the new tagline, ‘play by your own rules’. The campaign creative itself centres on a power ‘ball’, where fictitious winners come together as an expression of who they were born to be. The playful creative includes those with peregrine falcons, biker chicks, people playing golf on the top of the stairs and more. Debuting in May, the campaign initially involved heavy TV investment. Also in the mix are a 60-second cinema advertisement, along with extensive digital, social email, in-store and experiential activities. “We worked with our agency, Y&R [now VML Y&R], to make sure we captured digital channels and how to best utilise these,” Johnson said. Creative saw online users interrupted in that journey by the Powerball ‘butler’, who pops up and brings the last part of the TVC to life. Powerball’s most recent execution was in February, in partnership with digital media brand, VICE, and saw it host ‘Australia’s biggest party’ in Sydney. The event was open to 600 people. Through all of this, data has been hugely important, he continued. “There was a lot at stake and it was one of our largest brand launches in many years. We used internal data to understand who was already playing, then used Carat and Colmar Brunton to help inform who was sitting in those segments,” he said. 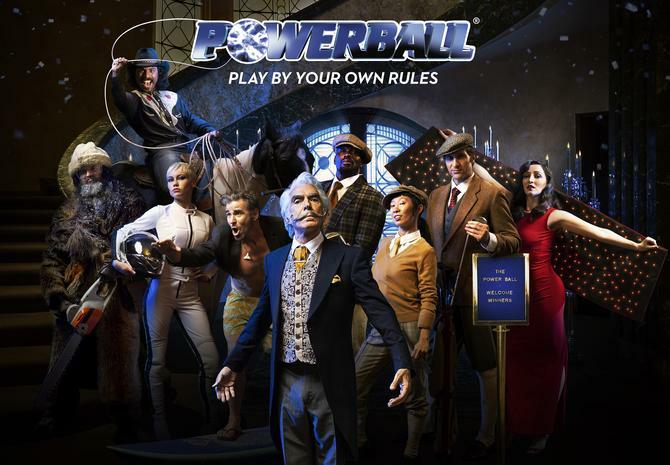 As well as being one of the biggest relaunches for the Lotteries team and Tabcorp in several years, the Powerball rebrand has also arguably been a transformational one for how teams work internally. Read more DNA-based marketing: The next big thing? To do this, the marketing team borrowed Agile principles from Tabcorp’s technology function. For example, instead of a formal written brief, Johnson and the team used a lean canvas, putting all stakeholders in the room to create a brief together. “We mapped out every week what tasks needed to be done week by week, until launch day. It was very clear. That’s the only way we could achieve that in that timeframe,” he said. There was also the merger of Tabcorp and Tatts Group going on. Fortunately, Johnson said the Lotteries team remained pretty stable, with former COO, Sue van der Merwe, appointed MD of the division post-merger and teams left largely unchanged at that point in time. What Johnson said he did learn being exposed to Tabcorp’s business workings was more rigour around how to approach audiences. “The most recent big brand launch was the Keno refresh, so some of the pace off the back of that was born out of learnings from our Tabcorp colleagues,” he said. In addition, given how unusual campaign and bold the campaign was, trust and a leap of faith from senior management was critical. “There was a lot of work done with senior management to demonstrate why this was the way to go, giving evidence around consumer insights, research and audiences we conducted to back it up. It is remarkably different,” Johnson said. And it worked. In its half-yearly report to 31 December 2018, Tabcorp highlighted the Lotteries and Keno division as one of its standout contributors, with revenue up 18 per cent year-on-year. The retained audience is stronger than ever, Johnson said, with prompted awareness retained at 97 per cent. Powerball’s growth audience prompted awareness also lifted from 62 per cent to 83 per cent. “People who have played in the last three months have grown from 23 to 33 per cent,” Johnson said. Brand metrics have also remained consistent post-Powerball’s biannual $100 million jackpots. “Three months after we launched last May, we delivered a $100m jackpot, and the number of new customers acquired was extraordinary. Only could come from increase brand awareness off the brand launch,” he said. What’s more, tracking shows consumers in the growth audience segment are seeing rebellion and adventure as key take-outs from the campaign. Having now been in market for about 12 months, Johnson said campaign material will get a refresh shortly in-market. In the meantime, the team is looking at Oz Lotto and dialling up the ‘fun’ aspect. Another recent refresh kicked off on the ‘Set for life’ product aimed at being more impactful in terms what that lottery represents. The product has a number of unique features, such as a seven-day draw period, and sees consumers win $20,000 per month for 20 years. And as the campaigns develop, Johnson said teams are working a lot more collaboratively.